Whether it’s driving to Key West or driving to go camping in a Silvercar, I love a good road trip! 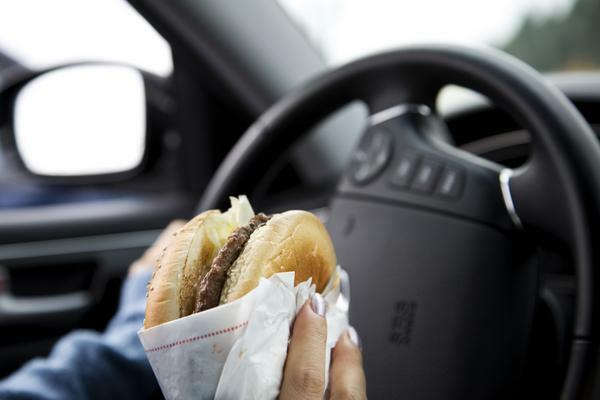 However, it can be hard to eat healthy while on the road. Do You Have a Hard Time Eating Healthy on Road Trips? But you can save money and eat well while on-the-go by using cards that give cash back or bonus points. 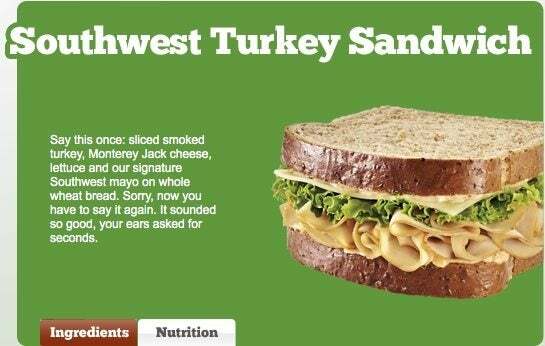 Gas stations with convenience stores are offering healthier food like prepackaged sandwiches, salads, and soups. So it’s not just hot dogs and junk food anymore! Many of these are open 24 hours, which is great when you’re driving long hours. Blue Cash Preferred® Card from American Express (3% cash back at US gas stations). Terms apply. Blue Cash Everyday® Card from American Express (2% cash back at US gas stations). Terms apply. AMEX EveryDay® Preferred Credit Card (2X American Express Membership Rewards points on gas in the US). Terms apply. Premier Rewards Gold Card from American Express (2X American Express Membership Rewards points at US gas stations and US restaurants). Terms apply. SimplyCash® Business Card from American Express (if you’ve selected US gas station as your 3% category). Terms apply. Thanks to New Food Options at Gas Stations and Convenience Stores You Can Skip the Fast Food Burger! You can stop at a 7-Eleven for a low-calorie meal to go. They offer a chicken Caesar salad, Southwest Cilantro Lime Flatbread, and a Yoplait yogurt parfait. 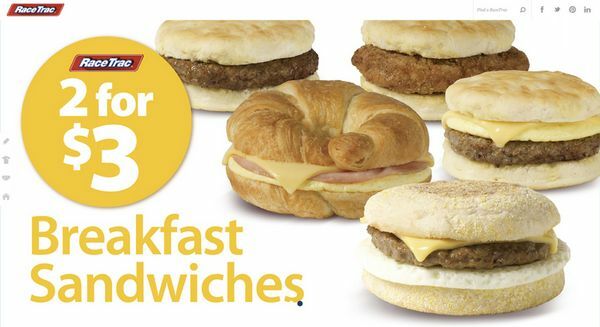 QuikTrip gas station offers made to order foods like toasted sandwiches, personal pizzas, and kolaches. You can find RaceTrac gas stations in the South in states like Florida, Georgia, Louisiana, Mississippi, and Texas. There are also affiliated locations in other Southern states such as Kentucky and Tennessee. Sheetz offers customizable menu options like salads, deli sandwiches, and wraps. Wawa has gas stations along the East Coast and provides nutritional information about their food. You can find quick and healthy meals when driving on road trips at gas stations and convenience stores. Some are open 24 hours, like 7-Eleven, and offer fresh fruit and salads. And you can get cash back or bonus points by using certain cards like the American Express SimplyCash and the Chase Ink Plus. Which are your favorite gas stations to buy food? Darius you make a good point to get a bite to eat at the same place you get gas and not the restaurant next door. But another place people might not thinking to stop is the grocery store and using a card with that bonus for their lunch. Many grocery stores have deli’s with made-to-order sandwiches, sushi, roasted chicken pieces, prepared salads and salad bars. Some even have hot bars where you can pick up a nice quick dinner or piece of pizza. I know you’re not from here, but those of us local to Wawa can get really testy when people think it’s just a gas station chain. Originally they were a deli, and then they expanded to a sort of convenient store, but they have always offered healthier and fresher alternatives than the average convenient store. In the scheme of things, the gas portion is still rather new. You spent almost no time talking about Wawa, and frankly, it has a cult following in its locale. We live by Wawa. There is no comparison to other inferior chains that sell food that tastes of gasoline fumes. Please honor and respect the wonder that is Wawa. Ok, not normally one to call out the click-bait, but c’mon. You literally named some gas stations and state they have healthy food. These places have had these options for years. The fact that you put SO many credit card links in this post really kind of drives my point home. How else does one bring up the Chase AARP card? This is really just another way of saying “Here are cards that have bonuses for spend at gas stations.” You didn’t have to try and spin it the way you did.